Unemployment in Scotland fell by 17,000 in the period February to April 2017, and now stands at 109,000, according to Office for National Statistics (ONS) data released today. The Scottish unemployment rate has fallen to 4.0 per cent, which is below the rate of 4.6 per cent for the whole of the UK. The labour market statistics also show that employment in Scotland increased by 14,000 over the three months to April 2017. The number of those in employment in Scotland now stands at 2,624,000. Today’s figures show that Scotland’s labour market continues to improve and I am pleased that the unemployment rate has fallen to the lowest rate on record. But a number of significant challenges remain and I want to see Scotland’s economic performance improve, catching up with the rest of the UK. This is why it is more important than ever that Scotland’s two governments work together to help ensure Scotland’s prosperity. Employment in Scotland increased by 14,000 over the quarter, and increased by 44,000 over the year, to stand at 2,624,000. 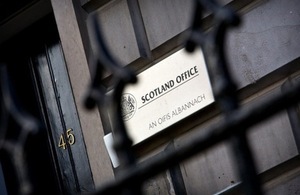 The Scots employment rate increased by 0.3 percentage points over the quarter to 74.1 per cent. The rate is below the UK average of 74.8 per cent. Unemployment in Scotland fell by 17,000 over the quarter and is down 49,000 over the year. The level now stands at 109,000. At 4.0 per cent, the Scottish unemployment rate is below that of the UK at 4.6 per cent. Economic activity fell by 3,000 over the quarter and now stands at 2,733,000. The economic activity rate decreased over the year to stand at 77.3 per cent. In May 2017, the number of people out of work and claiming Jobseeker’s Allowance was 48,200 and claimant count, including Universal Credit, was 80,300. The Labour Force Survey indicates that the number of people in employment in Scotland from February to April 2017 was 2,624,000. Employment was up by 14,000 compared to the previous three months, and up by 44,000 compared to the same quarter last year. The employment rate was up 0.3 percentage points on the previous quarter, and up by 0.9 percentage points compared the same quarter last year. By comparison, the Scottish employment rate is 74.1 per cent below the UK average of 74.8 per cent. Unemployment in Scotland was down by 17,000 over the quarter February to April 2017 at 109,000. The level was down 49,000 on the same quarter last year. The unemployment rate was down 0.6 percentage points on the previous quarter at 4.0 per cent, which is down 1.8 percentage points over the year. The number of people claiming Job Seeker’s Allowance (JSA) fell by 200 to 48,200 in May 2017. The level is down by 8,900 on May 2016. The claimant count level (JSA and Universal Credit) is unchanged over the month and up 3,700 over the year at 80,300. The rate is unchanged over the month and up 0.1 percentage points over the year to 2.9 per cent. The number of economically active (defined as those in employment or ILO unemployed, and seasonally adjusted) in Scotland in the February to April 2017 quarter was 2,733,000. This was down 3,000 on the previous quarter, and down by 5,000 on prior year levels. Among those aged 16-64 the economic activity rate was 77.3 per cent, down 0.2 percentage points on the previous quarter, and down 0.4 percentage points over the year.